Be the team standout with Canterbury’s large-size Holdall bag, featuring our cutting-edge fabric technologies for durability and strength. 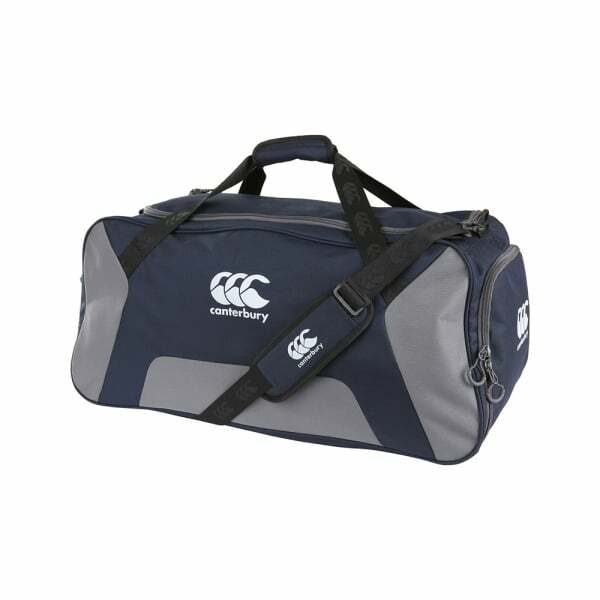 This bag comes with 100% Polyester 600D PVC coating and is large enough to hold all your gear, whether you’re heading over to the gym for a serious workout session or training on the field with mates. With attractive contrast side panel and 840D Ripstop base fabric, this bag is hardy and able to withstand heavy loads, while offering superior comfort and mobility with its webbing grab handle, webbing shoulder strap, and side handles. Designed for convenience and accessibility, the Holdall comes with a top double lockable zip opening, two end zip compartments, an inside zip pocket, and a nylon wet/dry bag, so you can carry a change of clothing, footwear, and tech accessories with a fuss.